Our hands do most of the work for us, so we need to take care of them by simply keeping them clean. For this reason, hand washes are all over the market to help maintain our hand’s hygiene. Like other commercial products, hand washes also have various types – liquid, foaming, and automatic or sensor. They continuously evolve as technology and consumer demands do. Aside from its types, factors such as the gentleness on the skin and hand wash container are also important. 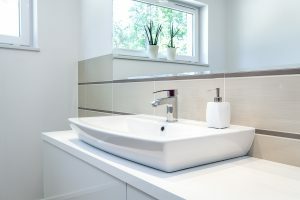 To guide you in choosing the best hand wash you can use at home or anywhere, we will explain in this article the hand wash buying guide and the top 10 best hand washes online. This way, you will know what to look for in a hand wash and will have a good idea of which product is promising. So let’s get started! Before we look into the top 10 best hand washes of 2018, let’s first discuss some important points on how to buy a hand wash. Please read each point carefully to have a better understanding of what choosing a hand wash is about. As technology is rapidly developing, an automatic or sensor type hand wash is drawing a huge interest among consumers primarily because of easiness. However, the liquid and foaming types are still great competitors on the market too. If you’re having a hard time choosing which type is best for you, let’s talk about each type in the following sections. 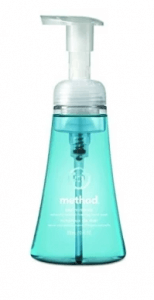 The liquid type is best known for its thick solution that provides a great cleansing quality. This type tends to have a higher cleansing power and can effectively remove odor than the foaming type. Therefore, if you and your family love to eat fish every day, we recommend that you use a liquid hand wash. Unlike the liquid type, the foaming hand wash does not take too much of your time and effort. You can quickly massage it into your hands without using water. This saves you the trouble of putting a small amount of water to let it bubble. This type is especially convenient if you have little kids at home because they can easily massage their hands thoroughly without water. As what the name implies, the automatic or sensor type is more convenient and hygienic than the other two types. You don’t need to touch anything to let the cleansing solution come out. By simply placing your hands under the hand wash machine’s sensor, you’ll eventually get an exact amount of solution for your every wash. However, the only disadvantage of the sensor type is that its batteries are quite costly, which also means its maintenance is expensive. 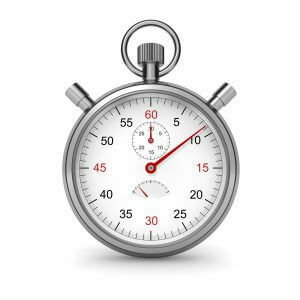 Nevertheless, it’s still suggested to have this at home, especially for large families, so you can control your usage. Your hands are usually exposed to dirt because they are your “touching friend,” so you’ll definitely need something with excellent cleansing power. Maintaining your hands’ cleanliness is important to prevent bacteria that cause infection and other diseases. Although the liquid type generally offers a great cleansing quality, the cleansing effectiveness still depends on the manufacturer – the chemicals they put in the hand wash. Therefore, check the label of the hand wash you’re interested in and see if it contains the best cleansing ingredients such as sodium lauryl sulfate. 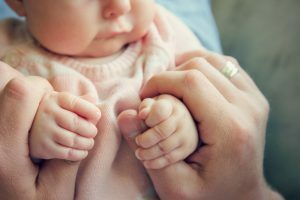 If you have sensitive skin, or have children and other family members with the same skin type as yours, you have to consider getting something that’s gentle on your skin type. Most of the products on the market contain sodium lauryl sulfate, also known as SLS, and triclosan. These chemicals are commonly known to trigger contact dermatitis, and you sure want to avoid them as much as possible especially if you have sensitive skin. Aside from being cautious of the ingredients, it is also important for you to choose a hand wash that contains a moisturizing ingredient. Lavender and peppermint oils are great moisturizers that maintain the delicateness of your skin, so better get a hand wash that has these essential oils. Purchasing a hand wash with a good foaming is a tremendous choice because it quickens your time when washing as it can be easily washed. Aside from that, you can also save money if refills are available because they are cheaper than buying a brand new one and are easy to store. Buying something that’s fragrant adds to the importance of having a hand wash at home. It spices up the hand washing especially if you have kids because they will be encouraged to wash their hands properly. You can choose a flavor that suits your kids’ preference, whether it’s fruity or floral. You also need to check the space in your sink because there are tall hand wash bottles on the market. If you decide to get one of these, you have to place it in a location where it does not hit the shelf, if your shelf is above the sink. To put it simply, the space you’ll provide should fit the size and tallness of the hand wash bottle. Also, bottles with creative designs make your sink, even your kitchen, look fashionable and artistic too! It’s now time to reveal the top 10 best hand washes you can buy online. The following list will serve as your product guide in choosing the hand wash that’s best for you and your loved ones. 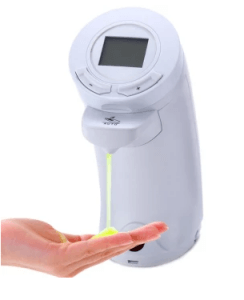 This amazing 250-ml dispenser has a built-in infrared smart sensor that automatically dispenses liquid soap for an easier hand washing. It is primarily made of an acrylonitrile butadiene styrene (commonly known as ABS) material that makes the dispenser durable. The LCD screen allows you to check the battery power (3 AA batteries) and the dispensed and remaining liquid amount for an easy monitoring. The dispenser is convenient for everyone at home or in the office primarily because of its ease of use. You can also easily refill the machine through its flip-up top with a large opening. The only disadvantage of this dispenser is that it is not water-resistant, so be extra careful not to spatter some water when washing. The handwash ensures that your hands are not only clean but will feel soft after every wash. It’s amazing for individuals who have rough and dry hands as its naturally derived formula helps soften your skin. The blend of rosemary, bergamot, and lemon with crisp marine notes refreshes your skin texture, which does not make it rough and dry. It comes with six 10-oz bottles for a long-term use. It’s also free from harmful chemicals such as triclosan, parabens, and phthalates that irritate your skin. The oceanic scent brings a refreshing fragrance to your hands. Its bottle is 100% recycled that makes it eco-friendly too. Please take note, however, that the smell may be too strong for others, especially to those who prefer a sweet and fruity fragrance. Organic Surge offers a competitive hand wash that produces a magnificent natural foam that effectively cleanses your skin without affecting its moisture. It contains Cocamidopropyl betaine that is responsible for creating such lather. It’s wonderful for everyone in the family, from kids to seniors, because it is gentle on the skin regardless of the skin type. It is also purely organic and natural without a single touch of harmful chemicals. Packed with sweet orange and organic bergamot oils, this hand wash keeps the nourishment of your skin. This comes with a hand cream for best results. The only issue with this hand wash is that it has a strong smell, which may not be pleasing to some users. 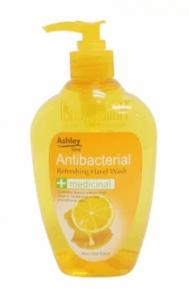 Ashley Shine introduces a hand wash that fights bacteria and moisturizes your skin at once. It contains lemon extracts, an antibacterial agent, that helps eliminate disease-causing bacteria. This incredible hand wash has medicinal properties as well that do not irritate minor hand wounds and slightly helps in its recovery. It’s great for kids and working individuals who are more prone to bacterial exposure. However, because lemon extracts are highly acidic (at 2 pH), prolonged consumption might affect the pH balance of your skin, which may cause skin irritation. It might be best to alternately use the products’ other variants like the ice cool (blue) and rose essence (pink). Avon offers a hand wash that deeply cleans your hands without drying your skin. This incredible hand wash contains glycerin that preserves the moisture of your skin. It’s best for people with dry and sensitive skin primarily because it moisturizes the skin and does not harm the skin’s moisture. Aside from keeping your hands moisturized, it leaves your skin feeling soft and smooth in every wash as well. It also boasts a blend of sweet and fruity fragrances of guava and strawberry. Although it contains glycerin that’s a great moisturizer, the hand wash has sodium laureth sulfate, commonly known as SLES, that may cause skin irritation. If your skin is sensitive and tends to be itchy, please avoid using this product. 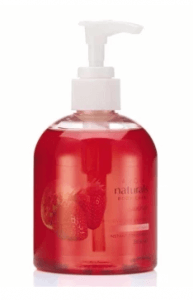 Bath & Body Works offers a spectacular hand wash that gently cleanses your hands while keeping it hydrated. 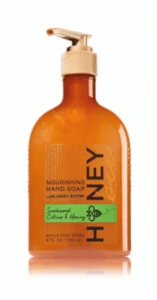 Its honey butter ingredient primarily does the job of moisturizing and maintaining the good condition of your skin. It’s perfect for people who have dry and rough skin to keep their hands moisturized all the time. The great citrus combination of honey nectarine, verbena, and lemon creates a mild scent that’s just right for you. The bottle is elegantly designed to keep in your kitchen as an additional decor. The only downside of this product is that the honey butter ingredient may trigger skin allergies when large amounts of liquid are applied to each wash. Therefore, please apply a moderate amount when hand washing. This foaming cleaner creates a massive and creamy lather for gentle cleaning and killing of bacteria. It’s recommended for everyone because it is basically gentle on the skin that’s suitable for any skin types. Its aloe vera ingredient, known to have healing properties, rejuvenates dead skin cells in your hands. The hand wash also contains vitamin E that works well in blocking free radicals in your skin, allowing you to have soft and smooth hands. 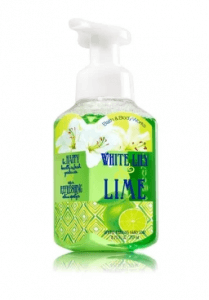 The combination of its white lily and lime fragrances creates a light and refreshing scent. 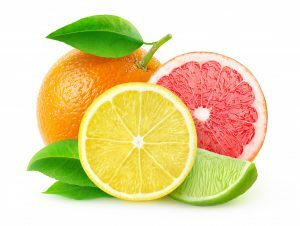 However, the scent may not be appealing to users who prefer a more sweet and fruity fragrance. The number 1 on the list boasts with its germ-killing power that’s filled with a flavorful fun. It’s highly recommended for kids, working individuals and cooking moms who are more exposed to a dirty environment. Its specialized Germshield+ technology prevents bacterial growth that causes unwanted diseases. Its foaming solution is as gentle as water and easy to wash, so it meticulously cleans your hands including the spaces between your fingers and your nails. 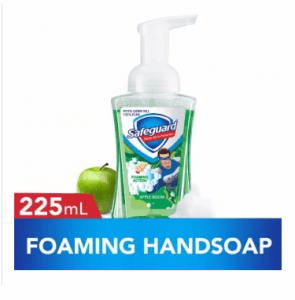 Its classic apple boom scent makes it even more appealing to use when hand washing. However, this hand wash may cause skin dryness to people with sensitive skin because its germ-killing power might be too strong for them. With the list of the top 10 best hand washes you can buy online, you’ll have a good start for your hand wash search. Please always remember, however, the important points on how to buy the best ones so you will be guided accordingly. Nevertheless, just make sure your satisfaction is achieved!